Sharon Bond was dreaming of her own restaurant for many years, she has always had a passion for cooking, baking & excellent customer service. Her passion for pleasing people and helping people. She created a cafe that had something no other place had; a traditional cultural aboriginal ambience, with light pow wow music, aboriginal art, jewellery and most of all Aboriginal cuisine! 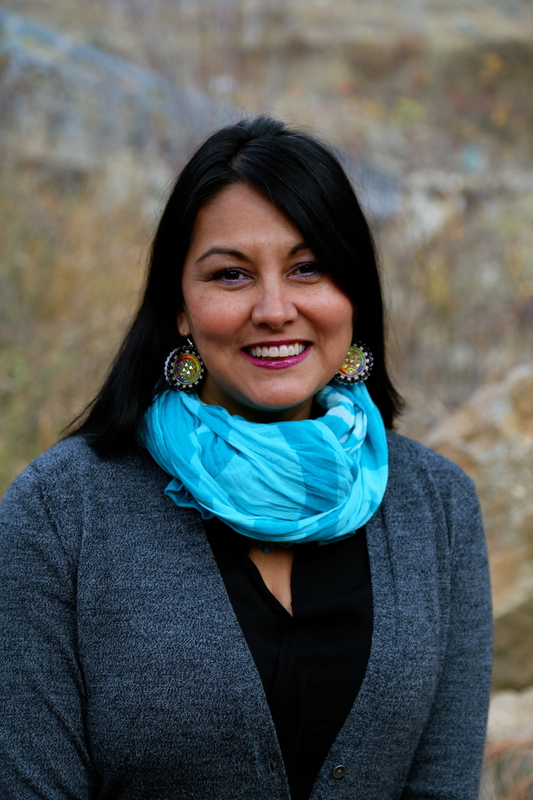 Bannock is her niche in the restaurant industry. She wanted a place that everyone would feel welcome and acknowledged. Acknowledgment is so important in our culture. People get offended when they are not acknowledged when they enter places of business. Sharon wanted to create this from the moment you enter Kekuli Cafe. The place to gather, meet & mingle. If you would like to book an evening for gatherings, workshops, meetings, call either of our cafe’s. 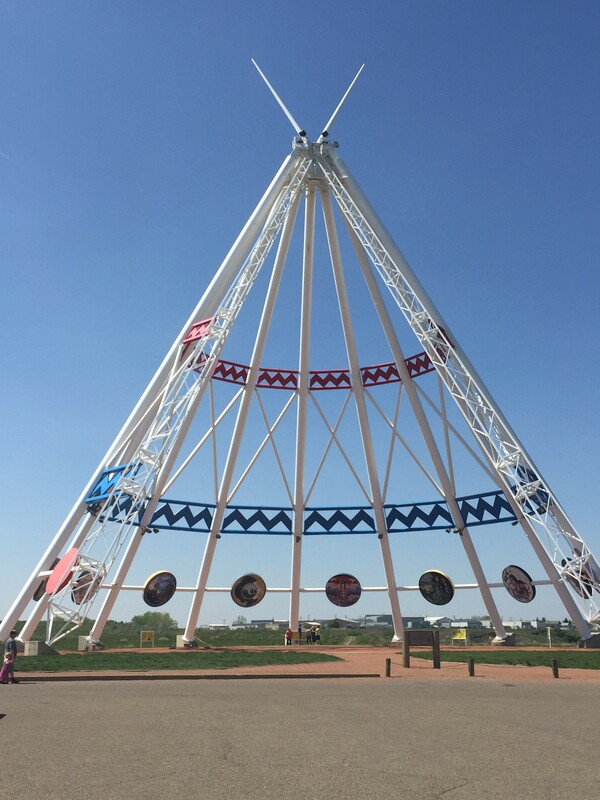 is originally from a northern pole city called Moose Jaw, Saskatchewan. That is the place where he learned his winter survival skills that he has carries with him to this very day. He has lived in the Okanagan for almost 20 years. Darren loves sledding in the mountains, the outdoors and plays guitar & drums. Darren brings his analytical restaurant skills, and accounting skills to the cafe. He also likes to collect stamps in his spare time, although being thoroughly involved in the restaurant business has slowed his stamp collecting down. Darren currently works as the Finance Minister, the last line of defence at Kekuli Cafe. A Kekuli is a dwelling built into the ground, built with logs, tule, dirt and grass. They were used as winter dwellings built half into the ground and half out of the ground, made of tules, fir and other materials. The Kekuli protected the people from the elements, it was quite warm and built very sturdy. You can still find historical Kekuli’s throughout the Thompson and Okanagan areas. The English version word, Kekuli means “Pithouse.” The Thompson language, we say sʔístkn, a home which First Nations people lived during the winter season when the weather was unbearable. We wanted a name that had aboriginal flair to it, something with that “k” sound, strong and flowed nicely. Sharon was reading this book by James Teit, one day, and came across the word “kekuli” meaning house, that the Thompson Indians lived in hundreds of years ago. Kekuli Cafe was born and registered the day she found the word. 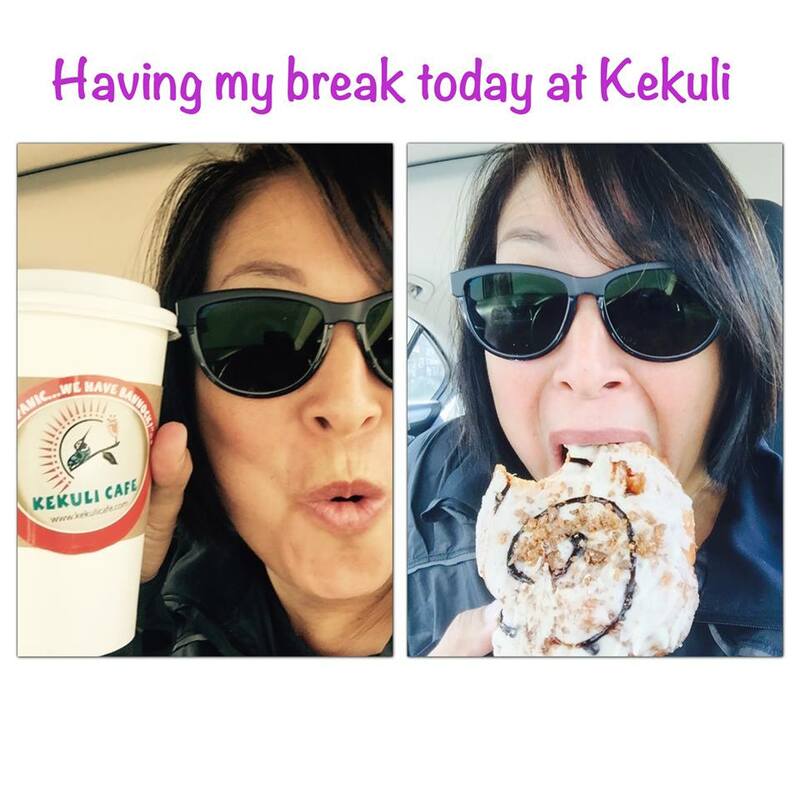 So when you come to Kekuli, you can experience the welcoming feel and quaintness of a new found home, and to enjoy a good cup of coffee, fresh food and bannock. Customers are able to enjoy our Wifi, our musical playlists, inspired by our parents, and our love of Aboriginal/North American Musical Artists and Canadian Artists. In this photo, is a beautiful shot of a Kekuli at the Summerhill Winery in Kelowna BC, where we got married. This Kekuli is now honoured in Makwala Hall-Derickson’s name, an infamous bull rider, who left us too early in his life. Our Kekuli Cafe is the place to gather when you need a spot to meet, mingle and enjoy something different in your life. How do we give back to our communities? There are many charities that touch the hearts of Kekuli Cafe owners. Like most people, they have been through and witnessed their family and friends struggles in life. At Kekuli Cafe we demand to create, inspire & make a positive impact in our respective communities, by giving back and to continue to remain focused on supporting our communities, through in-store product donations, offering jobs, training and bannock donations. Kekuli supports programs that meet our morals and values where health is important in our communities. Our youth, our Future leaders and our Elders who work hard all their lives, and deserve that special attention in their later years. Donation requests can be made online. We strive to answer most requests, please allow 2-4 weeks for a reply, & thank you in advance for sharing your request with us. 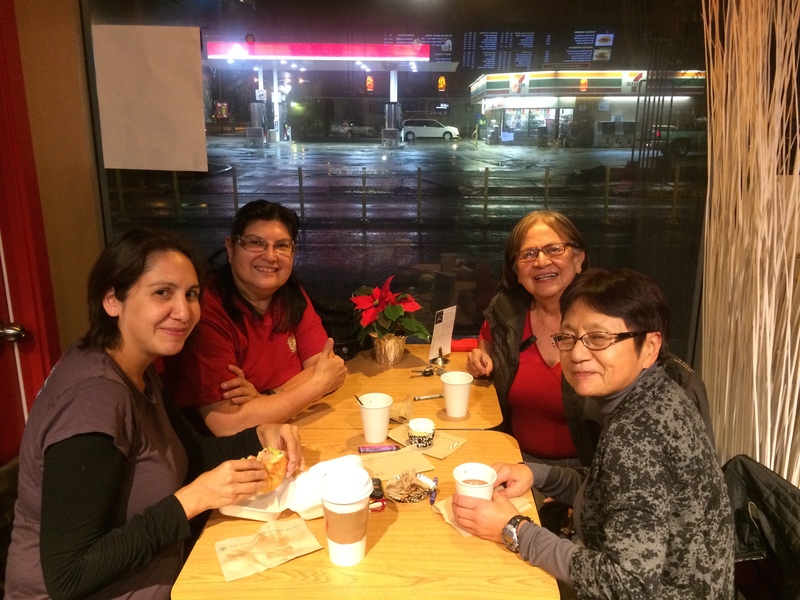 In this photo, meet our community members, Elder & Language Speakers Mandy Jimmie & Mary-June Coutlee, and community members, on the left, Sue Sterling-Bur and Molly Toodlican. Enjoying a Kekuliooo moment! Aboriginal Peoples are caretakers of Mother Earth and have a special relationship with the earth and all living things in it. Going back, thousands of years, our ancestors, the hunters & gatherers, harvested salmon, deer, moose, elk, berries and roots from the lands for their family, the elderly, the community, and for ceremonial purposes. Everything is taken and used with the understanding that we take only what we need, and we must always give thanks and give back to Mother Earth. Our goal at Kekuli Cafe is to ensure that we do everything in our power to keep Mother Earth protected. We use Organic, and or Fair Trade Premium Espresso all 100% Arabica Coffee Beans. No fillers no robust beans! Its all excellent coffee! Our coffee companies, give back to their foundations in which we believe and support. We use bio-degradable coffee cups and sleeves. We recycle all our cardboard, and give our empty pop bottles and cans to the SPCA community. We are working hard on many other opportunities to keep our mother earth protected. "What can I say what's not being said already... I am coming here at least once every week for a relaxing late morning Canadiano plus a Bannock. It's a great place with a relaxing energy and very nice, lovely people who are working there. Definitely a place to go, go, go..."